Payal Rohatgi is back again with another video. She has been doing so since the past few months when she has started showing her support to Narendra Modi and BJP by talking about their ideologies and also blasting people who in any way have posted on social media or spoken badly about the current government. 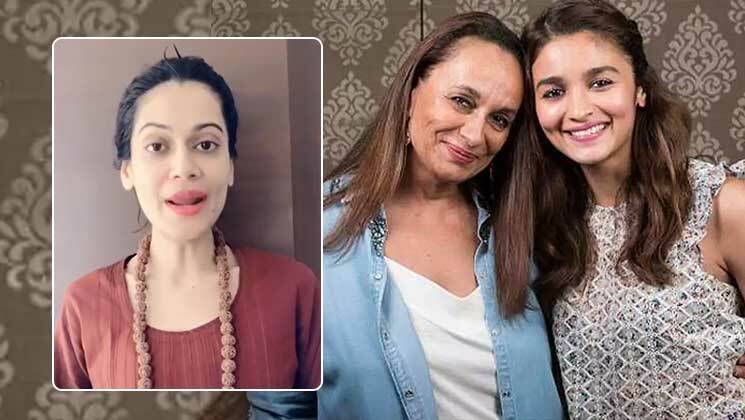 The latest to be on her radar is Alia Bhatt and her mom, Soni Razdan. There is something that Payal says in the video where she mentions that Soni is trying to influence voters against BJP. What is terribly upsetting is that Payal herself is doing the same, i.e. influence voters in favour of BJP. If she really wanted to giver her piece of mind, she should have tried harder to not look and behave like a ‘bhakt’. In all seriousness, Payal everyone has their own rights to share whatever they want on social media. It’s a good thing that, as a concerned citizen, you decided to expose a hatred-spreading post, but it also feels like you are trying to vent out your personal anger against Alia, Soni and Mahesh Bhatt. Just as there is no harm in you flaunting your support for a certain party via social media, there is absolutely no harm in someone else trying to put forth their piece of mind on social media via their personal accounts. If you don’t like, simply unfollow those people.